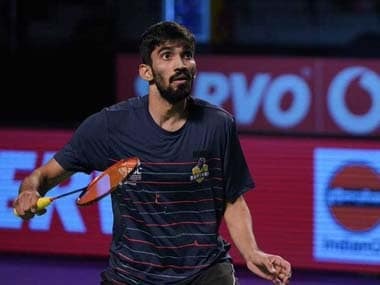 New Delhi: World No 10 HS Prannoy extended his unbeaten run as Ahmedabad Smash Masters outplayed Hyderabad Hunters 4-3 in the Premier Badminton League (PBL) on Friday. Ahmedabad's trump player Prannoy started in his usual flamboyant manner and took a lead of 6-2. 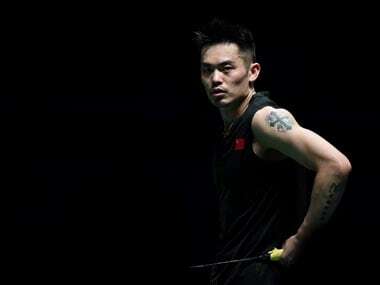 But World No 16 Praneeth did not let him off the hook so easily and overturned the deficit to take six straight points to lead at the interval. After the break, Prannoy got his act together and after initial exchange of points, won four straight points to race to a 14-10 lead. Praneeth delayed the inevitable by saving a game point but Prannoy took the next one to win the opening game 15-11. The current National champion was unstoppable in the second game as well and his combination of power smashes, deceptive drops and net play was too much for Praneeth to handle and he went down 8-15 to see his team go down 1-4 on points. This is Prannoy's ninth win on the trot in the competition. Earlier, Lee Reginald and Kamilla Rytter Juhl gave Masters an early advantage as they notched up a superb come-from-behind 4-15, 15-12, 15-8 win over Hunters' Satwiksairaj and Pia Zebadiah in the opening mixed doubles. 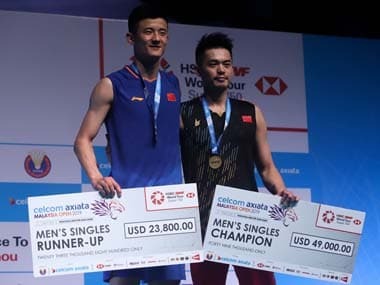 Hunters, however, levelled affairs with Masters after the 37-year-old Lee Hyun II outclassed Sourabh Verma 15-9, 15-11 in the first men's singles. World No 1 Tai Tzu Ying then toyed with young Rasika Raje and put Ahmedabad 2-1 ahead with a 15-5, 15-6 verdict in the women's singles. Prannoy then took the responsibility of sealing the match in Ahmedabad's Trump match and the National champion lived upto his billing by getting past Praneeth. In the inconsequential men's doubles, Kidambi Nandagopal and Lee Reginald of Masters were up against Markis Kido and Yoo Yeong Seong. The Hunters were able to pull one back with Kido and Seong winning 15-14, 15-11.